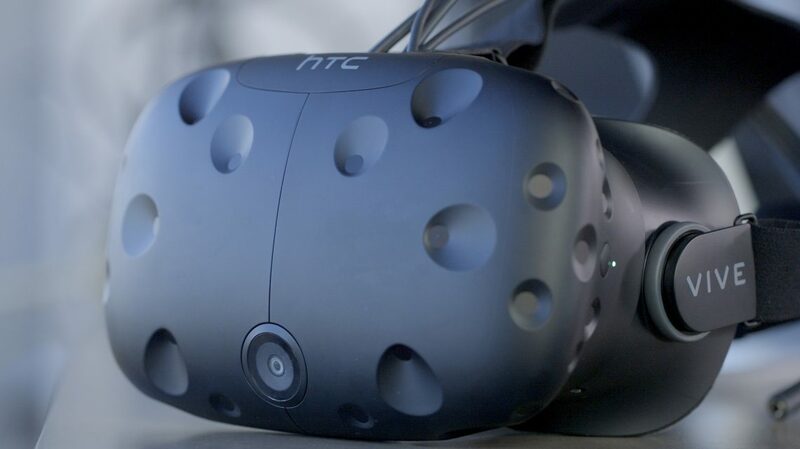 The Vive headset has a refresh rate of 90 Hz and a 110 degree field of view. The device uses two OLED panels, one per eye, each having a display resolution of 1080×1200 (2160×1200 combined pixels). Safety features include a front-facing camera that allows the user to observe their surroundings without removing their headset or detect real-world static or moving objects. Inside the headset’s outer-shell divots are dozens of infrared sensors that detect the base stations’ IR pulses to determine the head set’s current location in a space. Other sensors include a G-Sensor, gyroscope and proximity sensor. Vive Controllers: The controllers have multiple input methods including a track pad, grip buttons, and a dual-stage trigger and a use per charge of about 6 hours. Across the ring of the controller are 24 infrared sensors that detect the base stations to determine the location of the controller. The SteamVR Tracking system is used to track the controller location to a fraction of a millimeter, with update rates ranging from 250Hz to 1kHz. 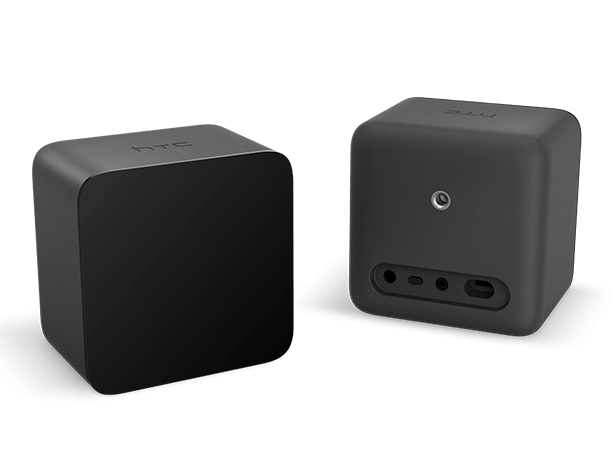 Vive Base Stations: Also known as the Lighthouse tracking system are two black boxes that create a 360 degree virtual space up to 15×15 foot or 4,5×4,5 meter radius. The base stations emit timed infrared pulses at 60 pulses per second that are then picked up by the headset and controllers with sub-millimeter precision. Wireless syncing lowers the amount of wires as well standard threading making the base stations practical to use in a home. A motion tracking accessory; it is designed to be attached to physical accessories and controllers, so that they can be tracked via the Lighthouse system. 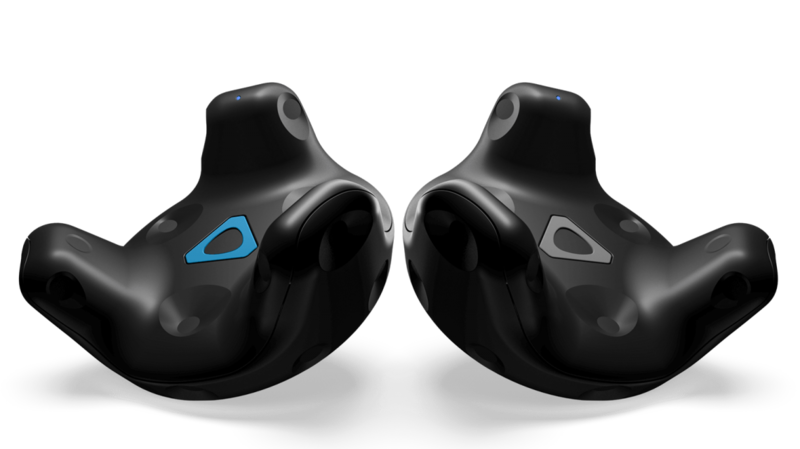 Vive Trackers feature a connector that can be used to communicate with the accessory it is attached to. On launch, the Vive Tracker was sold as a standalone product, and in bundles with accessories and games designed to integrate with it, such as the Hyper Blaster (a light gun-style controller), and a racquet designed for sports games. 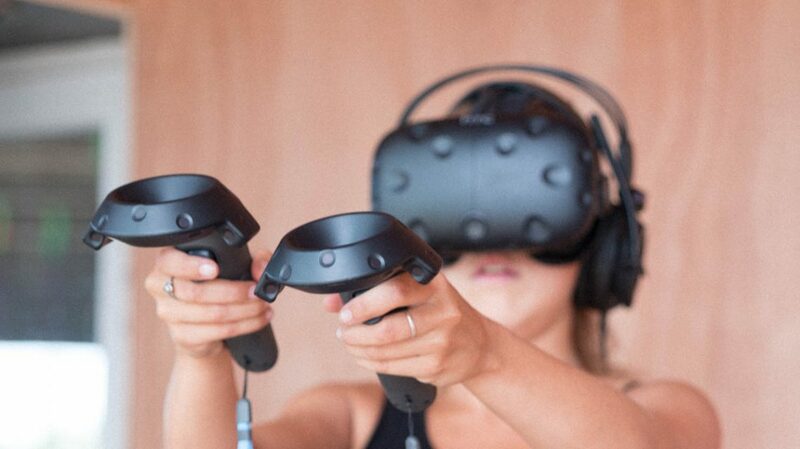 Other third-party accessories have been developed for use with Vive Trackers, such as bands designed to be attached to a user’s arms or legs to enable body tracking. with a hand-on demonstrations at your or our location! We can service multiple setups simultaneously. Yes, we’d love a demonstration!